00:00 From Glasgow, Scotland, St. Roch’s Céilí Band at Fleadh Cheoil na hÉireann 2013 in Derry playing two reels - “Kevin Burke’s” and “Donnellan’s Delight” (by Paddy O’Brien). Band members are: Mairéad canning, Eileen Grant, Patricia McArdle, and Danny Boyle (flutes), Paddy Callaghan (accordion), Cathriona McArdle (concertina), Alan Costello (piano) and Aidan Sharkey (drums). 02:31 From Leicester, England the Laurel Tree Céilí Band play two reels - “The Doon” and “Shehan’s” - at Fleadh Cheoil na hÉireann 2013 in Derry. Band members are John Burke, Moya Townsend, Eilish Byrne and Johnny Murphy Whelehan (fiddles), Eddie O’Donnell and Dave Lambe (flutes), Carmel Burke and Theresa Coleman (accordions), Eilish Commins (piano) and Debbie Lynch (drums). 05:02 Accordion craftsman and All-Ireland Champion 1982 John Nolan from New York, USA plays one of his own compositions - “Fr. Charlie’s Hornpipe” in honour of fellow musician Fr. Charlie Coen, originally from Woodford, Co. Galway and a very influential musician over many decades in New York. Fr. Charlie is sitting beside John in this recording made in Parsippany, New Jersey in April 2014. 07:32 New York fiddle player Jayne Pomplas plays the reel “Jenny’s Welcome to Charlie” at the Comhaltas North American Convention 2014 in New Jersey. 10:52 Taking second place in the Senior Fiddle Competition at Fleadh Cheoil na hÉireann 2013 in Derry, Dylan Foley from the Bronx, New York, USA plays a jig - “Langstrom’s Pony”. 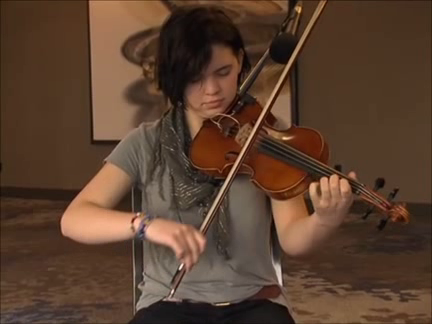 12:50 From CCÉ Ballymote, Co. Sligo, Caoimhe Kearns plays a hornpipe - “Quinn of Armagh” (by Ed Reavy) in the Senior Fiddle Competition at Fleadh Cheoil na hÉireann 2013 in Derry. 14:47 Taking second place at Fleadh Cheoil na hÉireann 2013 in Derry, The Knockmore Michael Céilí Band, CCÉ Botha, Co. Fermanagh play “The Pride of Erin March”. Band members are: Niall Murphy, Maria Connelly and Maggie Maguire (fiddles), Ashling McPhillips and Brena Maguire (flutes), Chris Maguire (accordion), Ciarán Hanna (concertina), Brona Graham (banjo), Ronan Warnock (piano) and Kieran Leonard (drums). 17:02 In the Under-18 Fiddle Competition at Fleadh Cheoil na hÉireann 2013 in Derry, Nell Ní Cheallaigh, CCÉ Fred Finn, Sligo a jig - “Buttermilk Mary”. 18:25 From Dublin, Aoife Nic Dhomhnaill plays “The Foxhunter’s Reel” in the Under-18 Fiddle Competition at Fleadh Cheoil na hÉireann 2013 in Derry.